Landlords looking for the next UK rental property hotspot will find that the Midlands is becoming more popular. Prices have risen quite dramatically over the past year or so. The area has seen a sharp rise in sales of properties worth £1mn or more. Up by 67% for the first half of 2018. This compares to steep drops in the sales of £1mn properties in London and the Southern counties. Prices on the rise. Get a free valuation from our experts. “The trend of a split across the country in the purchase of million pound plus homes continues, with the capital still experiencing a decline in the number of sales. Political uncertainty is likely to be influencing buyers’ decisions about investing in property in the capital, especially in homes at the higher end of the scale. “The picture outside London seems to be moving in a different direction, particularly in Wales and the East Midlands. Explanations for this could be that homes outside of the capital are less likely to be used for investment with purchaser buying properties to live in. The development of HS2 in addition to commuting links between the capital and Birmingham are also likely to be contributing factors to property investment in this region”. Property prices in the entire Midlands area are rising at the fastest rates in the UK at present. Other Northern cities are also experiencing significant price rises. This seems to signify the end to the North-South divide which has been so apparent within the housing sector, particularly following the 2008 financial crisis. As already noted, the development of the HS2 rail link could be one major factor in consumer decisions to move to the Midlands and North. HS2 will cut rail journey times between London and Birmingham to 45 minutes, making commuting between the cities a workable solution for many people as journeys will take less time than many London residents currently experience. Some areas of the East Midlands have seen even greater increases to property values. The market town of Melton Mowbray has seen prices jump by over 12% in the past year. Market Harborough, Blaby, Rugby, Kettering and Wellingborough have also seen property price hikes well into double digits. 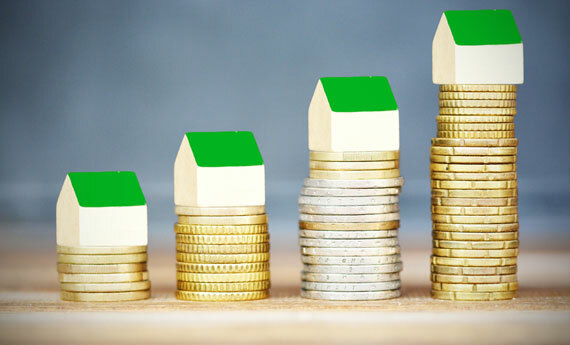 Any buy to let landlord appreciates that the underlying value of properties owned will add to overall levels of wealth if they continue to rise. Furthermore, where property values in cities and neighbourhoods are rising, the rental achieved can also be greater. Therefore, it makes good sense for any potential or existing landlord to consider the benefits of buying properties in these hotspot areas. Property prices in the East Midlands have traditionally lagged behind those achieved in neighbouring areas, which makes them a good buying decision at this moment in time. House prices in the city of Leicester have been particularly depressed for many years when compared to the neighbouring city of Nottingham, even though Leicester is just an hour away from London by rail. With two universities in the city and increased regeneration and economic activity, there’s plenty of opportunity for short term rentals. With prices rising all the time, now is a good time to get an up to date, expert valuation. We will search multiple data sources to provide you with an accurate valuation for your rental property. The best part is that it’s free! Our expert online letting agents will carry out a free rental valuation and send you a ‘Best Price Guide’ using exclusive property data from Rightmove & Zoopla. « Is Renting To Pet Owners A Bonus Or A Bone Of Contention?